Laltluangliana Khiangte is a playwright, dramatist, poet, scholar, critic, essayist, biographer and folklorist based in Mizoram. He is one of the prominent folklorist and writers of north east India. He was awarded the Padmashree by the Government of India in 2006 for his contribution in the field of literature. Laltluangliana Khiangte was born on June 28, 1961. He was born to Tlanghmingthanga and Darngeni. He was born and brought up in a Christian background. He attained Sunday school and became Sunday school Teacher. He had undergone the Biblical training course for a number of times. He served as a youth leader in the Northeast and the rest of India. He had taken part in the socio religious, cultural and educational programmes. He obtained his PhD in 1991 and D Litt in Folklore in 1999. Laltluangliana Khiangte’s writings are based on the themes off culture, folklore, socio religious studies, sports and social education. He has written more than 30 plays. 5 of his plays and more than 10 of his essays and poems have been prescribed as texts for studies. He has more than 20 books, 20 booklets and over 20 edited books to his credit. His plays, articles, essays and poems have been translated into Hindi, Bengali, and Assamese etc. His play “Chharmawia” has been serialized for Doordarshan. He is also a playwright and theatre director. He was awarded the distinguished playwright award in 2002. He also makes journalistic writings. 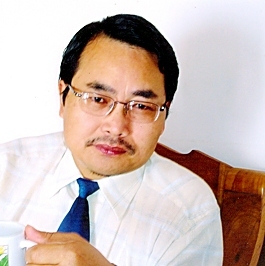 He has edited a literary journal “Thu Leh Hla”. He served as a member of the General council of Indian Sahitya Akademi and the Sangeet Natak Akademi and was the vice president of the All India Literary Forum. He is the active member of the Indian Folklore Congress. Laltluangliana Khiangte was awarded the Padmashree by the Government of India in 2006 for his contribution in the field of literature. He was also the recipient of the Rashtriya Lok Bhasa Sanman in 2003 and the Bharat Adivasi Sanman in 2005 by the Ramnika Foundation ND All India Tribal Literary Forum. He was awarded the distinguished playwright award in 2002.